My work explores the links between ceramics and geology and place, making pieces entirely from geological samples that I have collected from specific locations around the country, and that illustrate the ceramic qualities inherent in these materials. This work is fired in my wood kilns using waste wood that has grown where I live in Cambridgeshire. 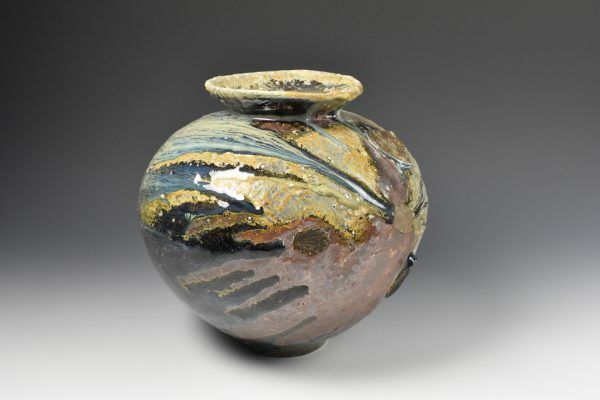 The firing itself transform these glazes producing exceptional qualities that would be impossible to achieve in any other way.